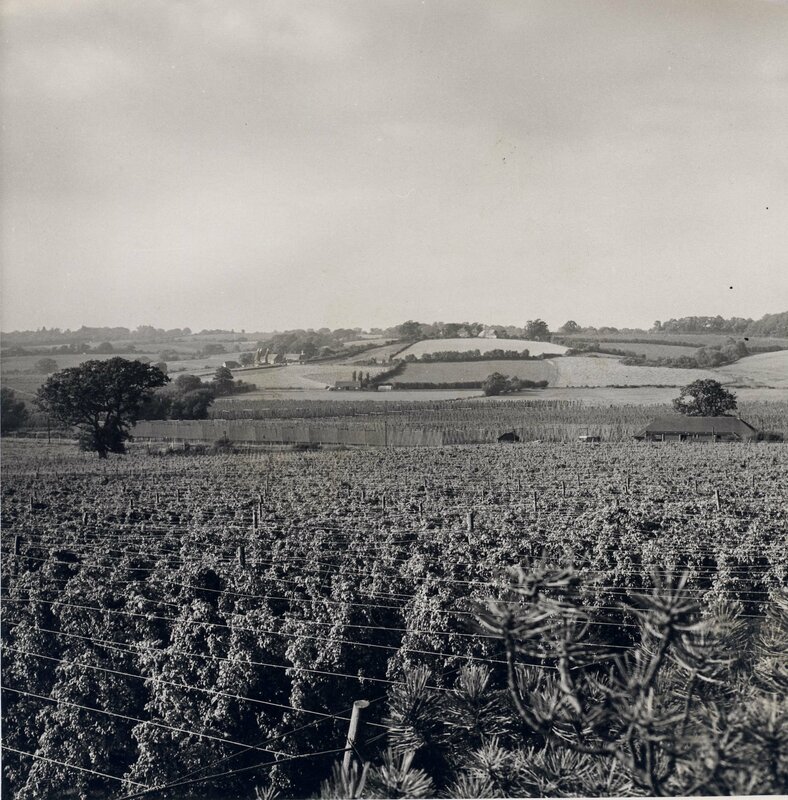 This photo was taken between Ockham and Udiam and looks towards Bodiam village. The oast and farmhouse of New House Farm can be seen to the left of the picture. This photo was taken when BR was still operating the Kent and East Sussex Railway as you can see the British railways Lion and Wheel logo above the number. 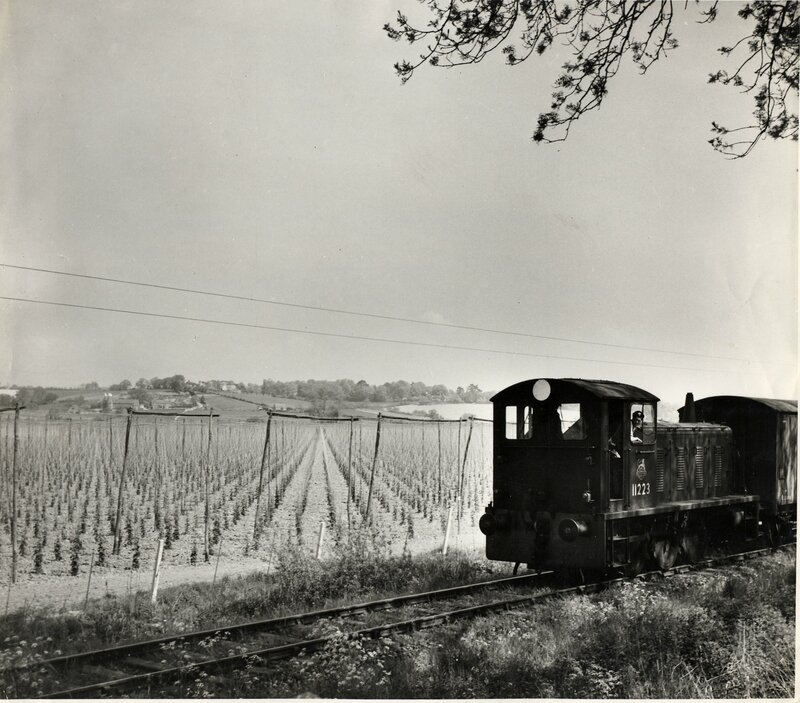 I'm not sure where this photo is taken but it shows hand pickers working their way through a hop garden. I don't recall seeing many lorries picking up the pokes - it was normally tractors and trailers. remembers their lorries being used to pick up hop pokes to take to the oasts. They also transported the pickers to and from Hastings. 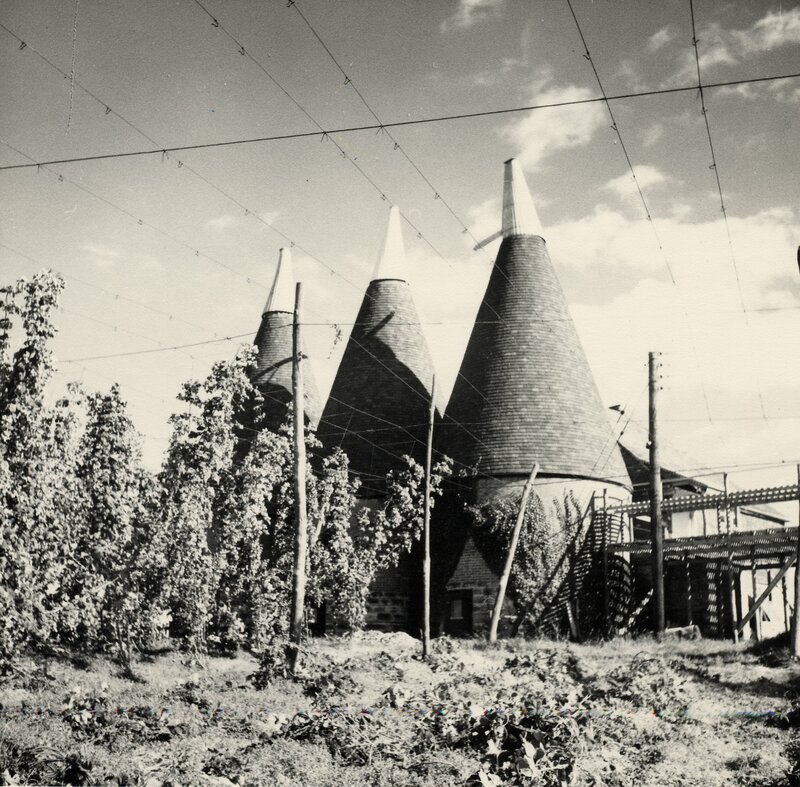 Can anyone help with the location of this oast? 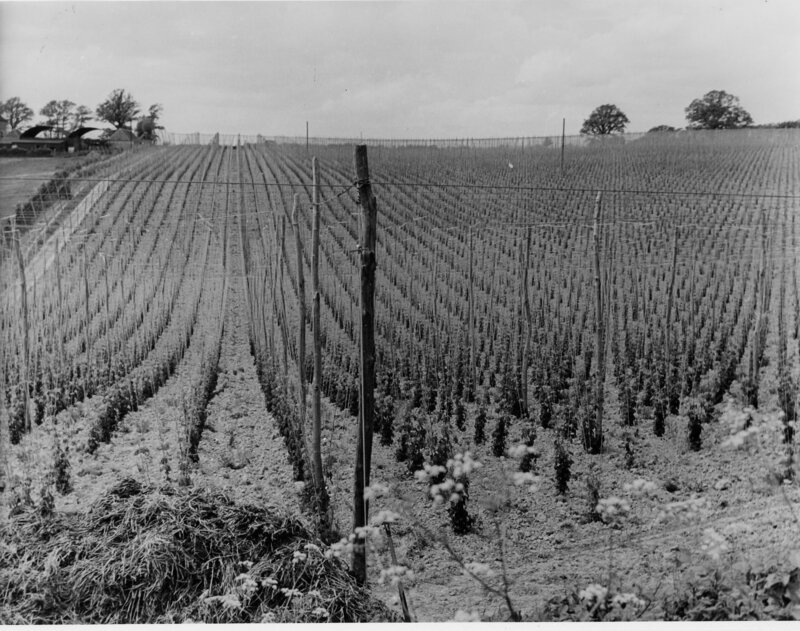 This photo is of the hop garden called Coopers. This photo was taken on the road where the new school now is. The New House dairy buildings can be seen to the left of the picture. 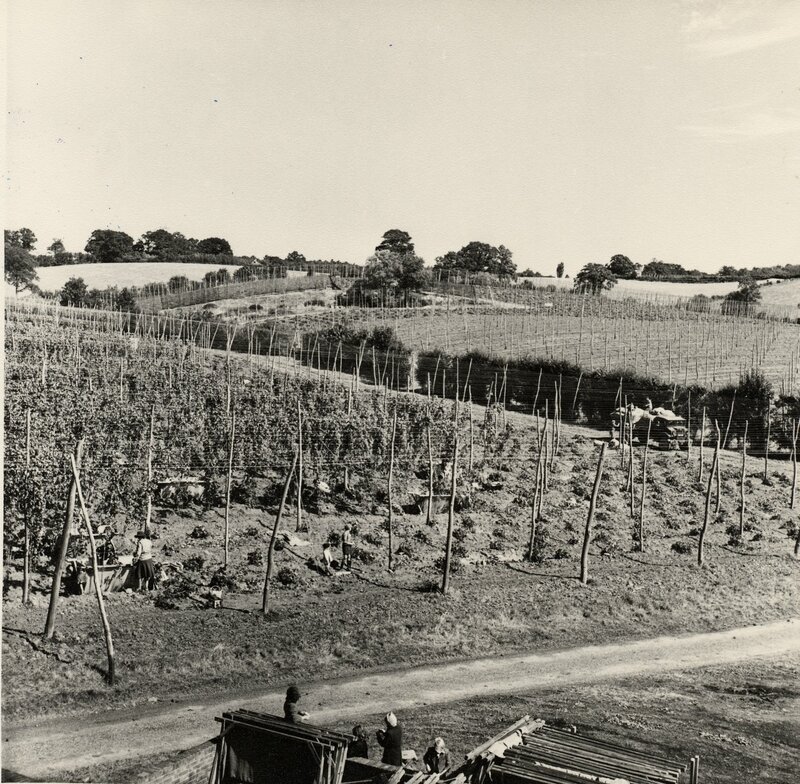 This photo must have been taken from a tree at Ockham and looks down on the top of a hop garden towards New House. New House Oast and Farmhouse can be seen in the distance with the thatched cricket pavilion just in front to the right.